News Articoli Operational reliability can be trained! Newly designed courses have started and the first new training schedules of the HEUFT Training Center are online. The extended range now even includes the latest innovations based on the HEUFT SPECTRUM II with solutions such as the HEUFT eXaminer II XS for a space-saving foreign object detection or the HEUFT FinalView II CAP for an all-round closure inspection. 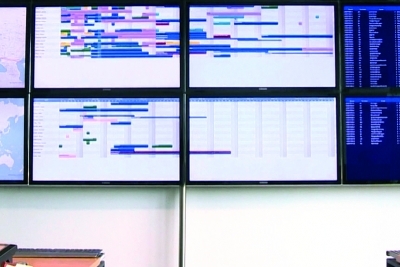 Thus from now on there are specific learning and training units for practically every device in the technology leader's portfolio – even for the new generation of inspection systems. They are more highly automated than ever before and so self-explanatory due to the audiovisual HEUFT NaVi user guidance that they can be operated intuitively and safely even without major manual intervention or special previous knowledge. Nonetheless a certain degree of basic know-how is important. 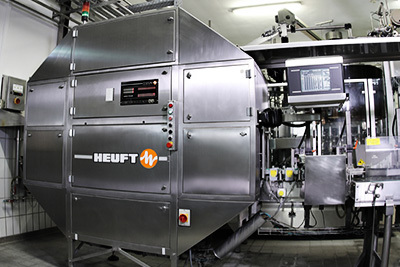 Above all it is essential that the QA and maintenance personnel of filling and packaging plants with HEUFT equipment should know what is important regarding its configuration, care and maintenance in order to maintain the production quality and productivity of entire lines sustainably. Three new trainers recently joined the German headquarters of HEUFT SYSTEMTECHNIK GMBH in Burgbrohl alone in order to impart such knowledge and skills in theory and practice competently. They have valid certificates from the Chamber of Industry and Commerce certifying their successful participation in a trainer course as have all the instructors there. Therefore they have the correct didactic and rhetorical tools as well as expertise regarding learning psychology in order to pass on real practical knowledge so effectively that it is not forgotten. Sound in-house training ensures the required technical competence. And all HEUFT trainers gain the necessary experience in the field as technicians for the HEUFT DirectService before being employed as course instructors. Therefore they are not only able to explain theoretically but also to demonstrate in practice what has to be done in order to carry out important tasks such as changeover, maintenance or cleaning work effectively and efficiently. As a result downtimes which slow down productivity can be specifically prevented or at least significantly shortened. Redesigned learning content and materials provide overview and transparency. From standard to customer-specific advance training, from technological foundations to fault analysis and the fast replacement of important components: the participants learn everything they need in order to achieve maximum detection and operational reliability during in-line quality assurance. Sufficient attention is also paid to working at the device: each course offers genuine practical exercises besides spacious premises with modern presentation equipment i.e. for direct access to the configuration interface of the respective HEUFT system. The HEUFT Training Center now has even more space with even more solutions which can be experienced live in addition to the showroom where the majority of the portfolio can be tested extensively and in action in an undisturbed atmosphere. A total of three rotary systems allow the simulation of realistic operating conditions. Alternatively specific workshops with individual contents are also possible directly along the filling or packaging line of the respective customer. And not only in Germany: local trainers travel everywhere if required in order to provide real help for self-help with practice-oriented on-site training courses. 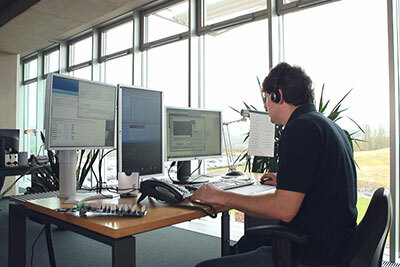 Five further HEUFT subsidiaries have their own optimally equipped training centres at locations in Italy, France, China, Mexico and the United States. Another one will soon be added in Great Britain.